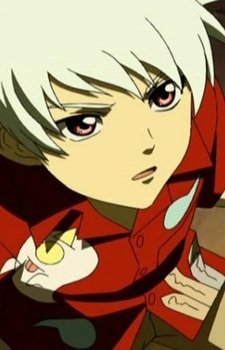 An enigma to all who meet him, Nagi is a trickster at times aiding the HiME and also conspires against them. He first appears when he explains the role of a HiME to Mai and leads her to where her child Kagutsuchi is sealed. He is usually the one who summons an orphan into the human world and will give Natsuki vague hints. He can always be seen in high places such as the tree tops or monitoring the HiME Star from the underground Library. It was never explained what he was, but he has shown inhuman abilities such as levitation, teleportation, and glowing eyes.